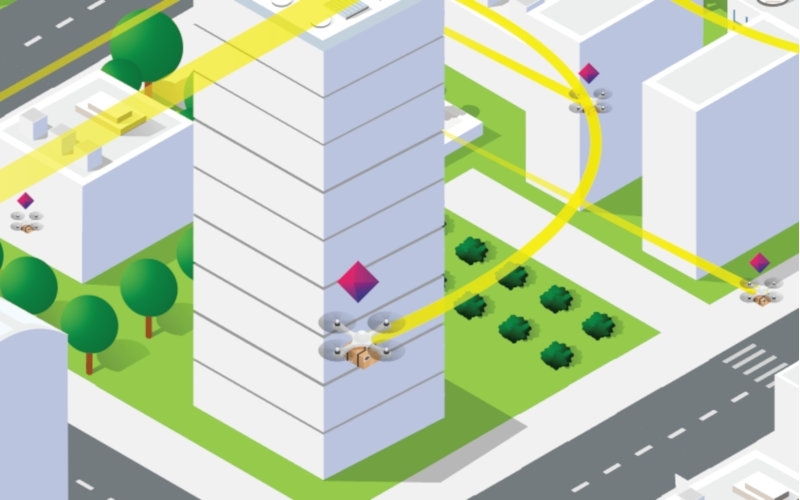 Boeing and SparkCognition today announced plans to launch SkyGrid, a company that will focus on the future of urban aerial mobility. Based in Austin, Texas, SkyGrid will develop a software platform to help provide safe, secure integration of autonomous cargo and passenger air vehicles in the global airspace. This will include working with regulatory agencies to streamline the flight plan approval process for UAVs in a SkyGrid ecosystem. Using blockchain technology, AI-enabled dynamic traffic routing, data analytics and cybersecurity features, Boeing explains SkyGrid’s platform will go beyond unmanned aircraft systems (UAS) traffic management (UTM). The platform will aim to enable SkyGrid customers to safely perform a range of missions and services using UAS, including package delivery, industrial inspections and emergency assistance. Leveraging its machine learning technology, a multinational footprint, and expert teams focused on defense, industrial internet of things, and finance, SparkCognition builds AI systems to advance what it describes as the most important interests of society. SparkCognition works with customers to help them analyze data, empower decision making, and transform human and industrial productivity.